In 2004, the Khayat family had a beautiful furnished house, two cars, two factories and their kids were in the best schools in Baghdad. But once they stepped out of their home, their cars, the doors of their schools, the world became a very different place. The Khayats' neighbors were being shot just down the street. Their 11-year-old son, Mustafa, knew what a murder looked like. This was too much for Tavga Tahseen, Mustafa's mother. She knew they had to leave Baghdad. "We can always rebuild and restart our lives, but we cannot bring back a dead soul or body," she explained. Since the Iraq War began in 2003, the country has become unsafe, especially in the south and center of Iraq. Many Iraqis have sought refuge by fleeing the country. Others have moved from the south and center to the north because the region is more stable. "I saw my neighbor's kids getting murdered and they were as our family, raised among us," Tavga Tahseen said. "I could not stay in Baghdad while my family was in danger. I preferred to start my life again in Erbil, even if we were poor. At least my family would be safe." In Baghdad, she said, her family "would go out for picnics, parks, clubs and restaurants." But in Erbil, Tavga Tahseen and her family knew few people and they were worried about money for the first time. "When we moved to Erbil, it hurt a lot. We rented a house with only two rooms. None of my friends and relatives could believe that I was able to stand these conditions as I am used to a much better life." Sarah, 23, is the Khayat's oldest daughter and was in her last year of high school when they decided to move to Erbil. "I had a comfortable and stable life in Baghdad, never had a mind to leave it, but during the war the conditions were so difficult and dangerous -- I could not go to the school because my father would not let me put my life at risk for my education. I am an ambitious and a hardworking student, I could not accept leaving my education, so I would still go to the school for exams and I would do great and pass successfully." Sarah's school and teachers in Baghdad were some of the best so it wasn't easy for her to walk away. But one day, when she arrived home from her exams, she found all the windows in her house had been smashed out because of the continuous explosions nearby. Their neighborhood, Amarra, was in serious danger because it was close to the airport. She, too, decided it was time to leave. Once she moved to Erbil, Sarah finished her high school exams and got a high average. She is now in her fifth year of medical school at Hawler University, following her lifelong dream to be doctor. Mustafa, 20, was a teenager during the war. He has tried to forget those hard years in Baghdad. "I don't remember much about those years during the Iraq War because I have tried to forget them by building a new life and enjoy it in Erbil," he said. 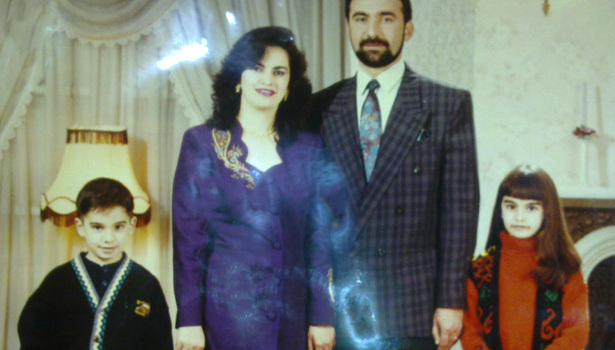 "I now am glad and satisfied with my life in Erbil." But despite this, Mustafa added, "I would have never wanted to leave Baghdad if it wasn't for the war." To Tavga Tahseen, the most important decision her family made was to stay in Iraq, despite the war. "Leaving things behind, like a house and cars, is difficult. But leaving a country behind is even more difficult," she explained. "Iraqis have been leaving their country by force or because they have had to for a long time, but that is the easy choice. We refused to leave Iraq behind, we chose the hard decision. We were brave and strong enough to stick together and cooperate, to start a new life in our own country." is this mustafa khayat's family? the mustafa khayat that studies in Cihan university?